This is our first stay at a military campground. I should qualify and say that this is our first year of RV'ing however, our first RV trip was 30 days to Oregon from Florida. All that said, we are really enjoying our stay here. Hardy, the duty host couldn't be any more helpful. The campground is well kept and clean. Level concrete pads and grassy side yards are great. The showers are clean and the unlimited supply of hot water is super. 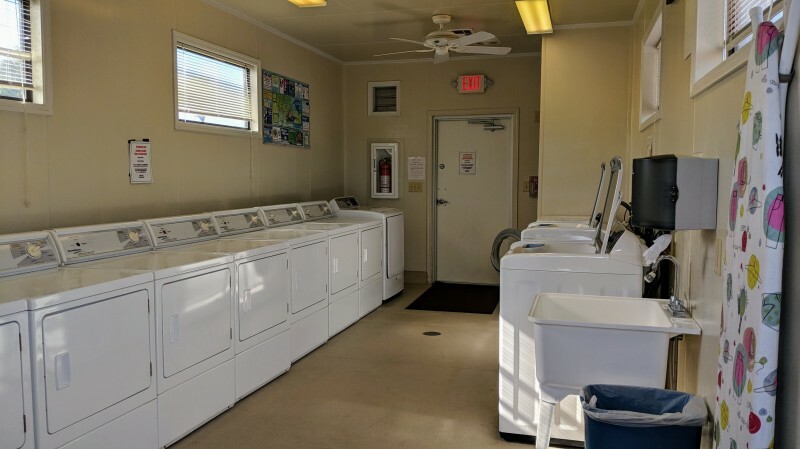 The laundry facilities are available at no additional cost. The Saturday night ice cream social is an opportunity to meet your neighbors. Fishing from the jetty is a blast. Light tackle and shrimp result in a bucket full of sand trout. 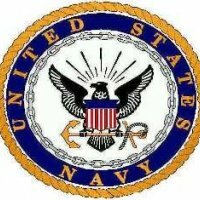 We were hoping for a 'visit ship' but none scheduled for this weekend. 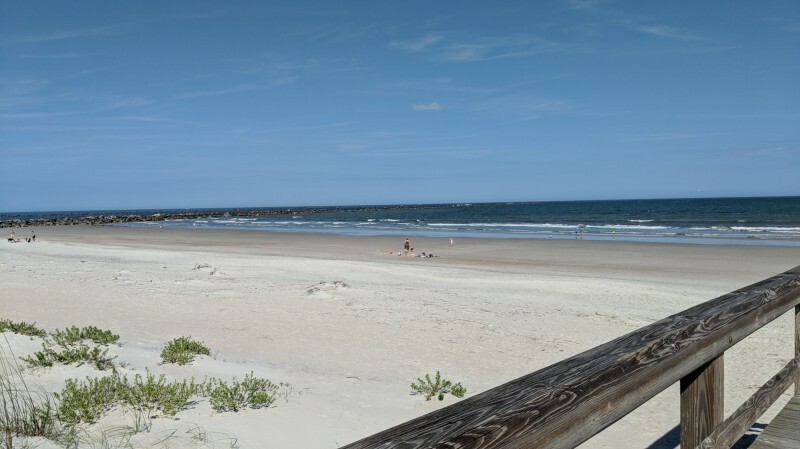 The historic and quaint town of Fernandina Beach is less than an hour away via A1A. We will return. Another great visit to Pelican Roost! This has to be the "TOP" Famcamp in the DOD. You can't beat the views no matter what site your in. 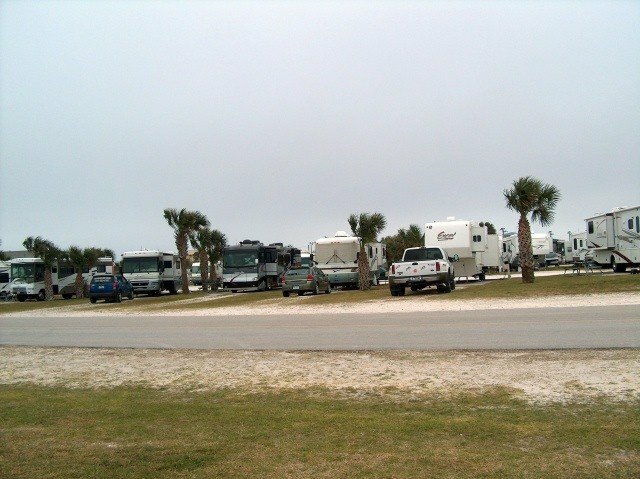 The ships coming and going, military and civilian, and the beach, are a bonus to this campground. Great rates, free ice and laundry, awesome staff, clean bath house, pancake breakfast, ice cream socials,and camping with your veteran brothers and sisters, what more could you ask for. You have to experience this campground!